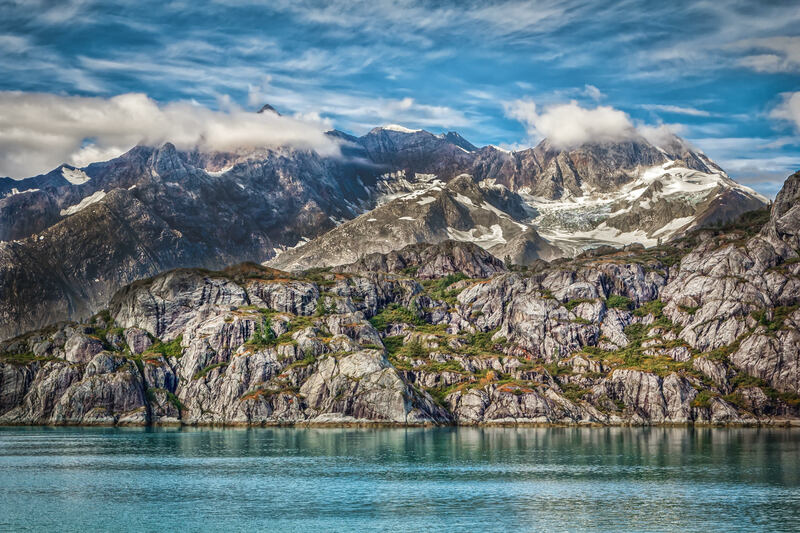 Evergreen trees grow on a rocky mountainside in Alaska’s Glacier Bay National Park. 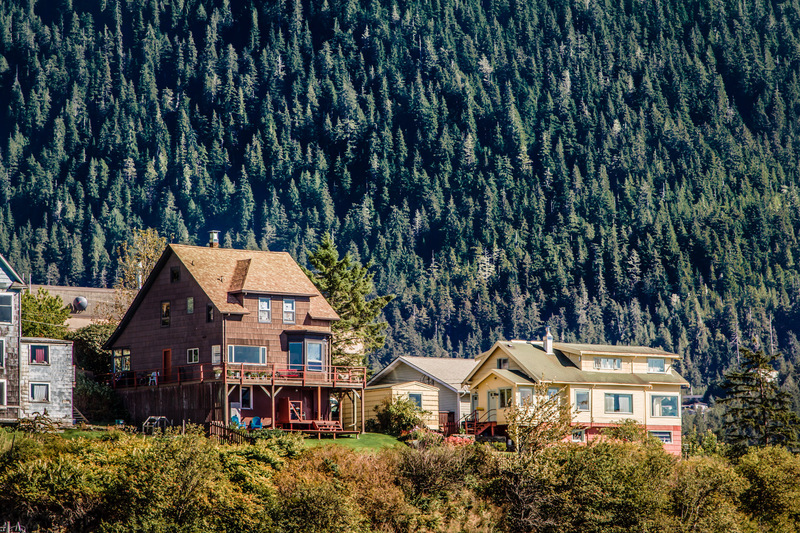 Houses perched on a hillside in Ketchikan, Alaska. 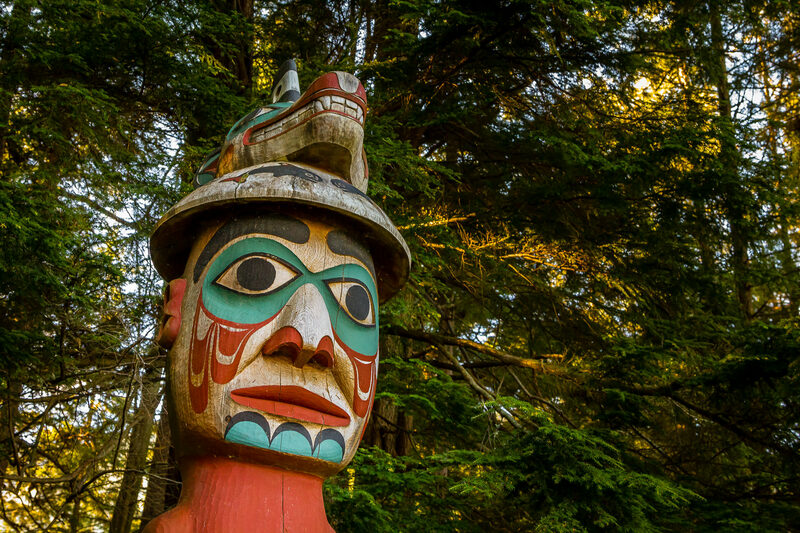 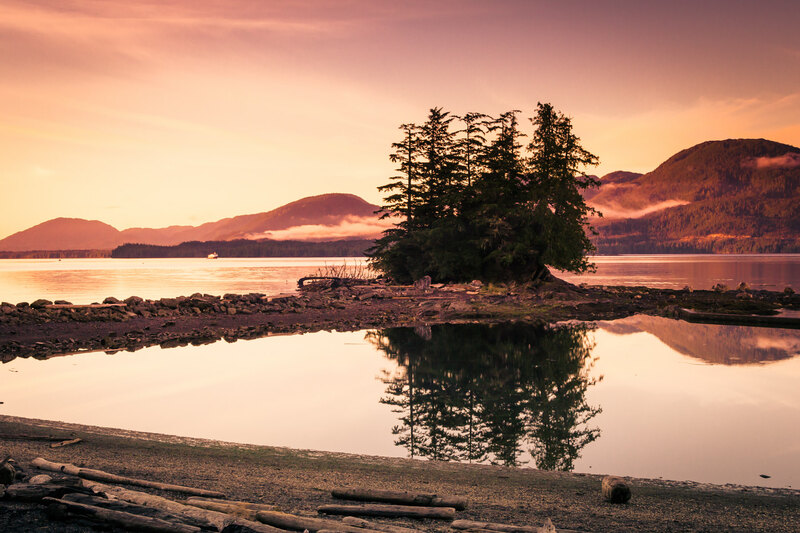 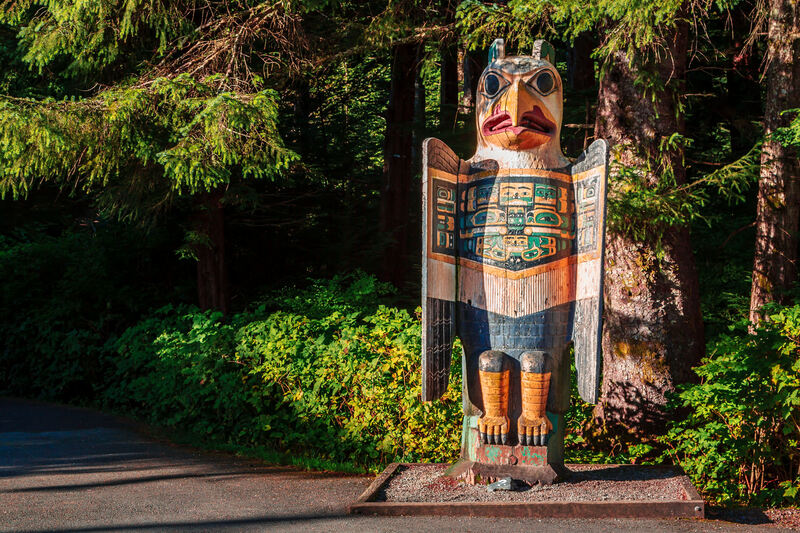 A totem pole titled “Man Wearing Bear Hat” at Ketchikan, Alaska’s Totem Bight State Park. 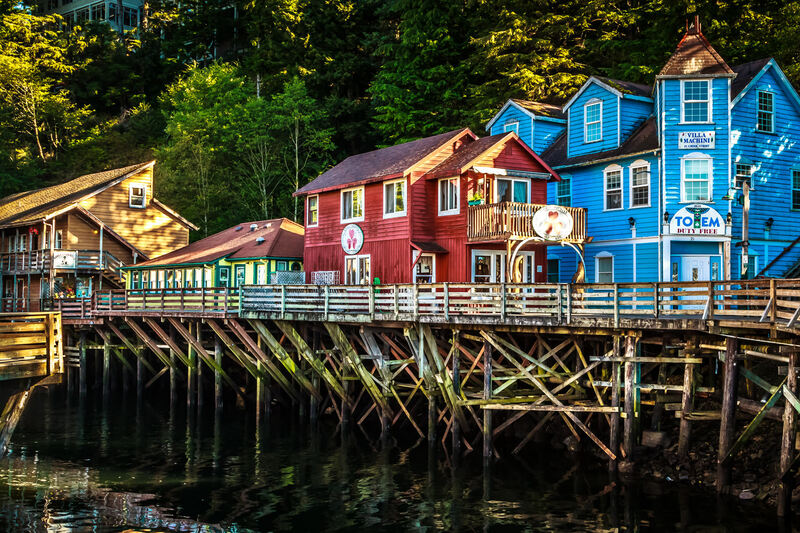 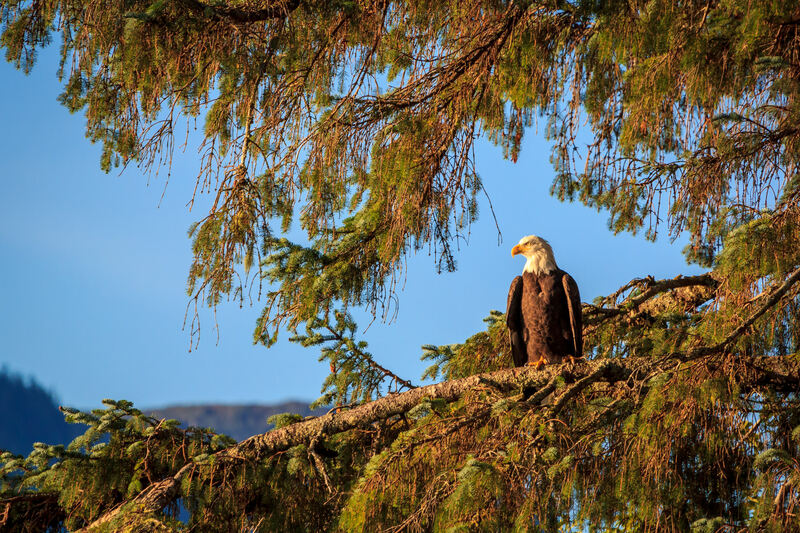 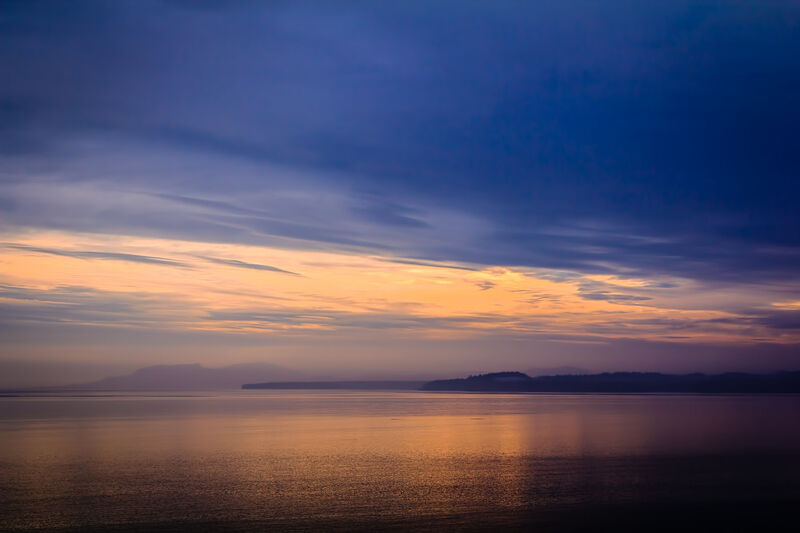 Ketchikan, Alaska’s former Red Light District—a boardwalk perched over Ketchikan Creek—is now the center of the town’s tourist district. 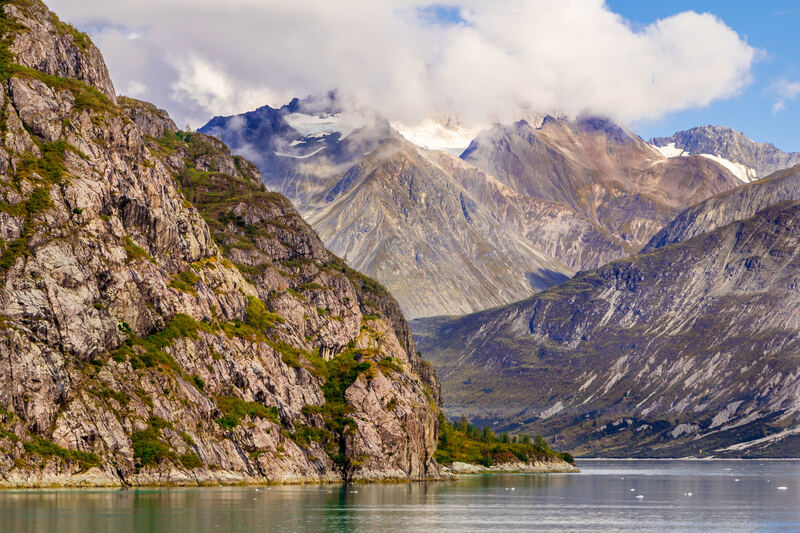 Jagged ice and snow-peaked mountains along the shores of Alaska’s Glacier Bay National Park. 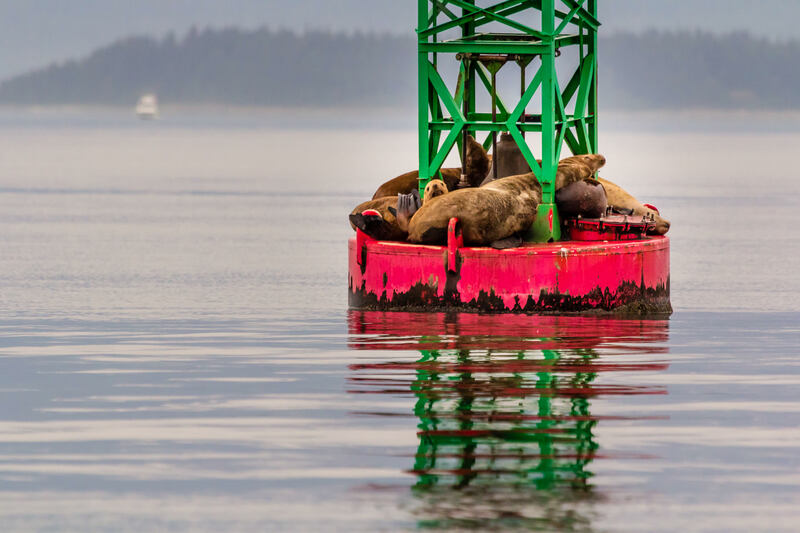 A group of Steller sea lions rest on a buoy near Juneau, Alaska.